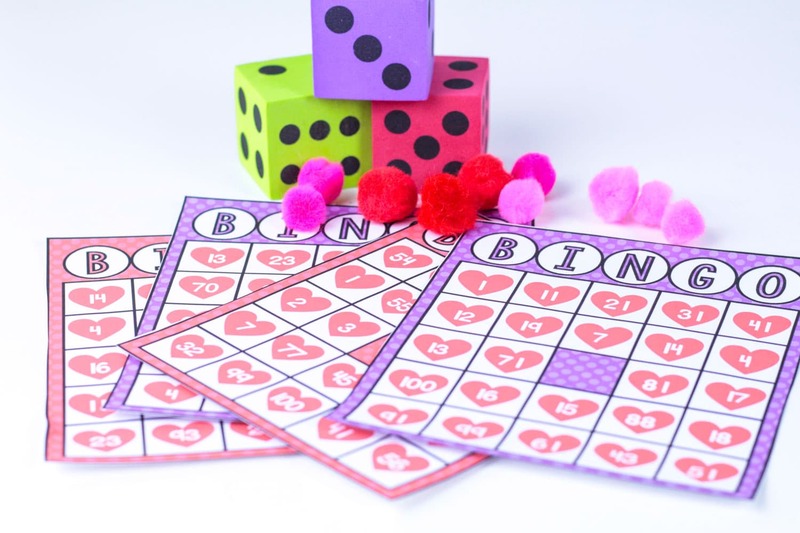 MAKE MATH FUN WITH A VALENTINE BINGO GAME! 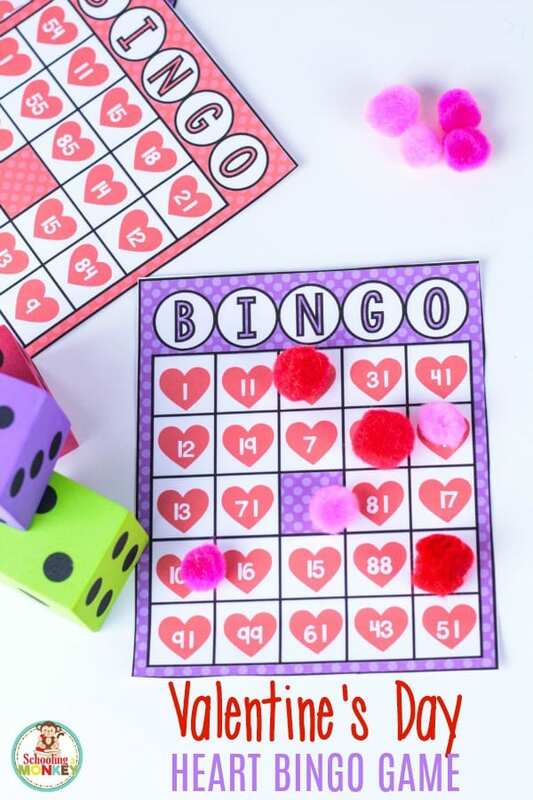 This Valentine’s Day, make your Valentine’s Day math a lot more fun with a Valentine bingo game! 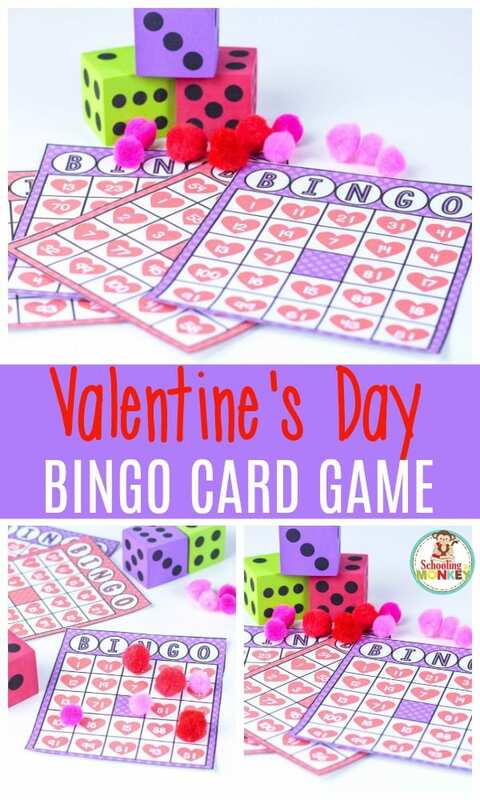 This game is the perfect addition to a thematic unit about Valentine’s Day or hearts. 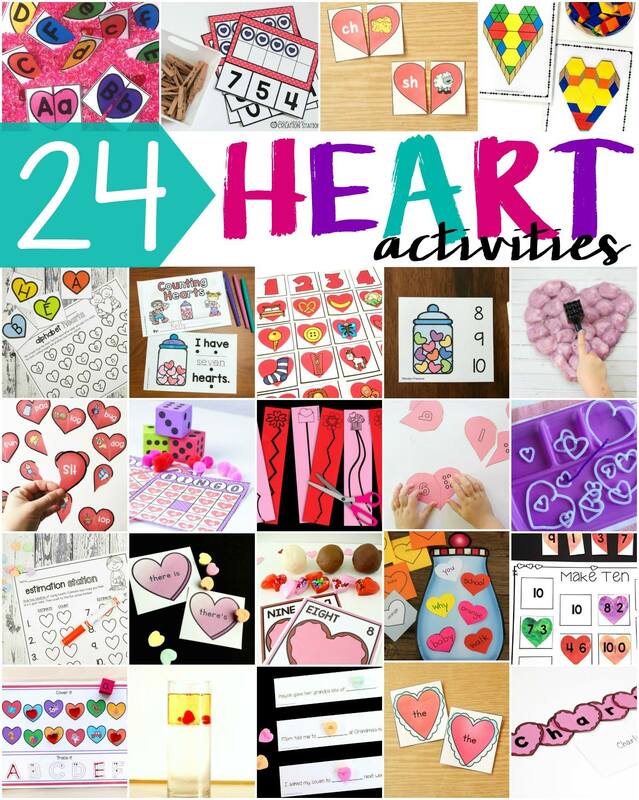 Find more educational heart activities below the activity instructions so you can round out your Valentine thematic unit! 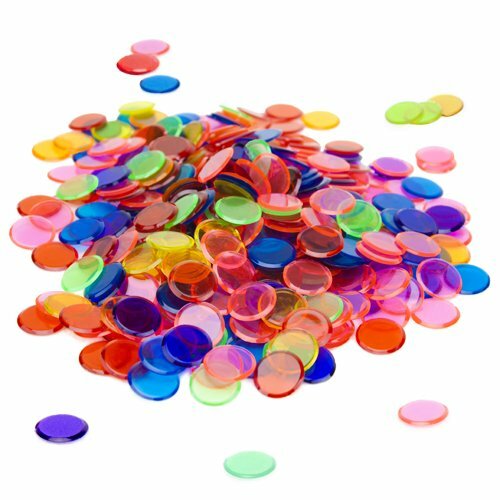 Kids will love playing this game over and over again, and you can use the cards in a variety of ways to strengthen number recognition, counting skills, or math facts! If you need even more heart activity ideas, try making a 3D heart model, experimenting with heart marker chromatography, or try making fizzing hearts! Don’t Miss: The Complete List of Valentine’s STEM Activities! 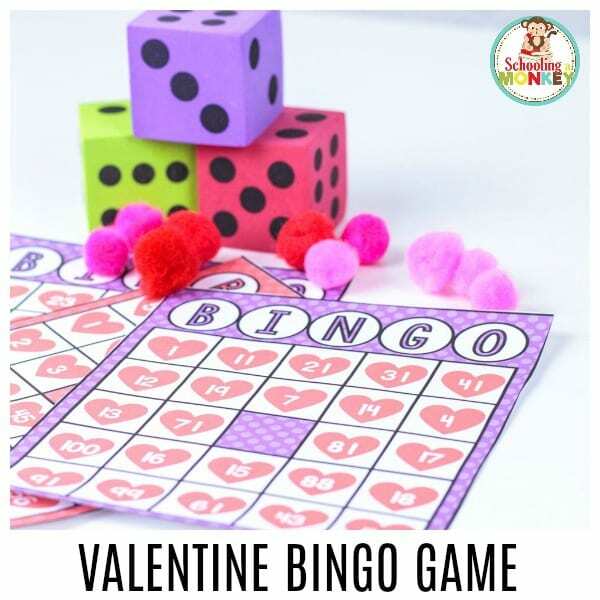 The Valentine heart bingo game is a fun way to learn counting, number recognition, multiplication, addition, subtraction, greater than and less than, and any other basic math processes. The heart theme makes it all a lot more fun though! 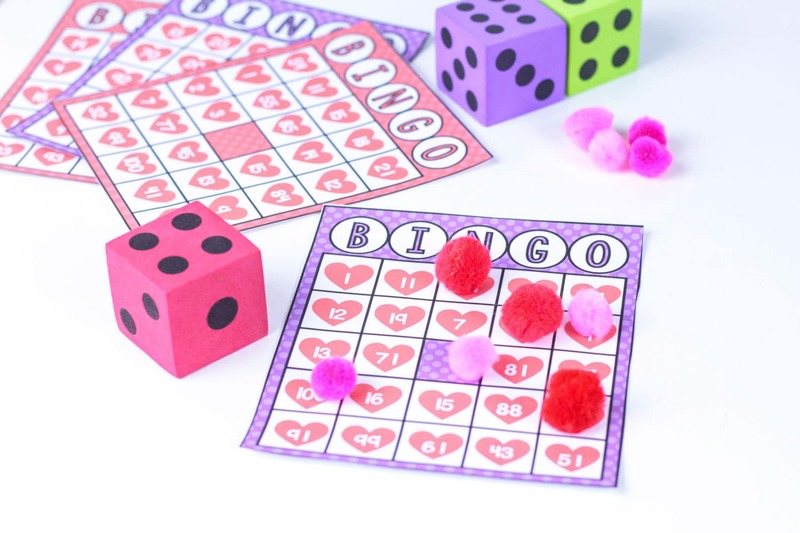 Print your bingo cards onto sturdy cardstock paper. 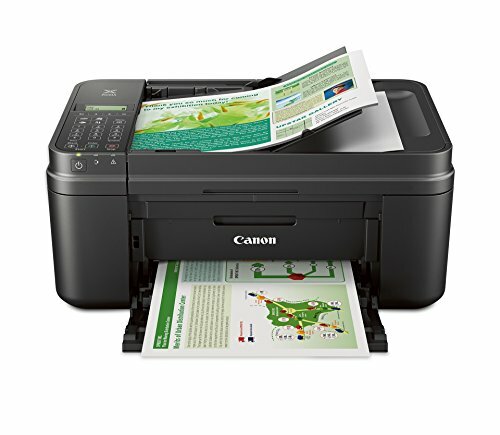 If you laminate them, you can use them multiple times. Cut apart the cards and give one to each child. This set comes with 6 different versions of the card. If you’d like more cards than that, we have a full set of 30 heart bingo cards here. 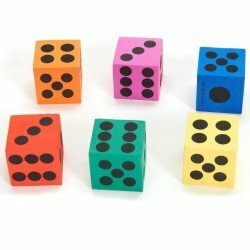 Show the kids how to cover the numbers on their cards as they are called. Decide what skill you want the kids to work on and build your bingo call numbers based on that. The first child to fill in a line on their card wins! GET YOUR VALENTINE’S HEART BINGO CARDS HERE! If you need additional cards, download the expanded set here.